In a single desktop package, the Copystar/Kyocera-Mita FS-1128MFP gives you all the features found in the FS-1028MFP/DP plus a fax component. You get monochrome laser printing, copying, color scanning, plus 33.6 kbps faxing at 20 pages per minute. The network-ready unit also has a built-in duplexer for 2-sided printing at speeds up to 30 monochrome images per minute. Starting at 40 pounds with a 19½” x 17” footprint, the FS-1128MFP multifunction can be placed on a desk, but adding the additional paper trays will make this multi-function a little too tall for any overhanging shelves. Sitting the Copystar on a table or credenza will give more than enough clearance to use its automatic document feeder and the right height for making copies and scans without having to stoop. The FS-1128MFP is identical to the FS-1028MFP. The only difference is in addition to having an 8½” x 14” platen to support scanning up to legal size documents, the 1128 model also includes the “Document Processor” as standard equipment. This Reversible Automatic Document Feeder (RADF) allows for 2-sided scanning of up to 50 originals at 30 images per minute to keep up with the speed of the printer itself. The control panel on the former Kyocera model gives a person full control of copy and scanning features without the need to install special software on their computer. The panel consists of a LCD display, a 10-key pad for copies, and the traditional buttons and indicator LEDs for printing. After a 20 second warm-up, in less than 7 seconds the FS-1128MFP starts printing at speeds up to 30 single-sided pages per minute and 15 two-sided pages per minute. With a maximum resolution of 1200 x 1200 dpi, the FS-1128MFP is great for monochrome printing of small fonts and detailed graphics. The built-in duplexer gives you the flexibility of 2-sided printing. Understanding business needs, the printer comes with PCL6 and PostScript3. Up to 999 monochrome copies can be made with the FS-1128MFP at 30 pages per second. The copy function has three different exposure modes & resolutions up to 1200 x 1200 dpi to handle text to photo reproduction. The magnification can be automatically or manually changed from 25% to 400% in 1% increments or 12 presets. Originals can be scanned in color from resolutions ranging from 100 to 1200 dpi. Scans can be saved in the popular JPEG, TIFF, PDF, XPS, or sent directly back to the computer, USB stick, or e-mailed. This Copystar has a single cassette paper tray for holding up to 250 legal-size sheets. Non-standard sizes materials to 8½” x 14” are loaded into the 50-sheet multi-purpose flip tray. Up to two additional 250-sheet trays can be stacked to the FS-1128MFP to max its total capacity to 800 sheets. 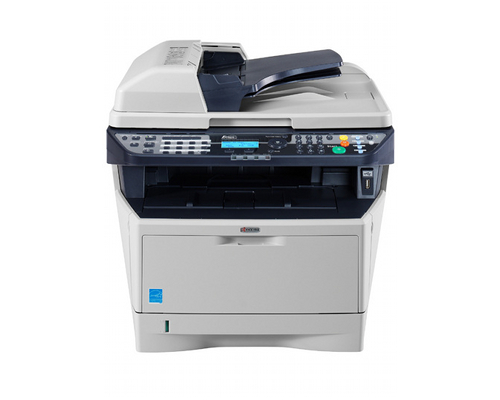 The FS-1128MFP can be either connected directly to a computer through its USB 2.0 port or over the network via 10/100BaseTX Ethernet. Starting with the 256MB memory, increasing to 768MB, the printer can more than handle additional workloads of a large department or classroom. While the FS-1128MFP does have the ability to increase paper capacity, it is only using 250-sheet trays to do so. Since paper typically comes in reams, having paper tray that can hold 500-sheets would be a better option for businesses that go through a lot of paper. 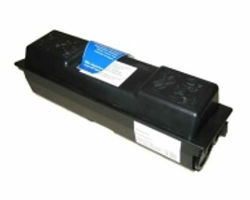 Review it: "Kyocera Mita FS-1128MFP "
The FS-1128MFP toner comes in a standard 7,200-image yield cartridge. 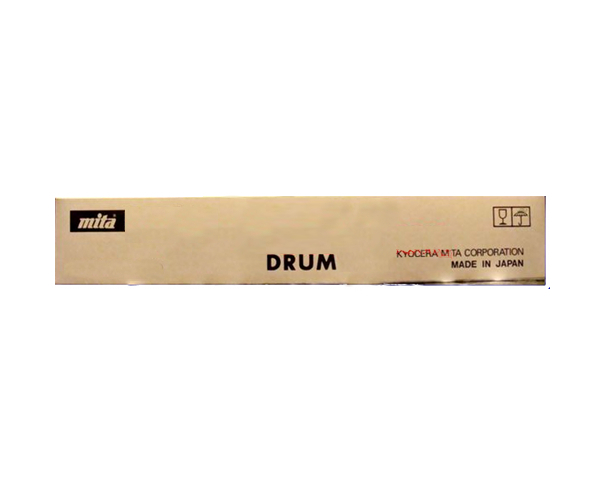 The long-lived drum and developer are separate from the toner unit to save on overall cost of consumables. Replace the drum every 100,000 images and the developer every 200,000 images.